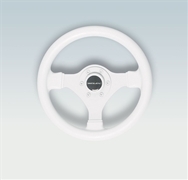 Ultraflex V45GW 3-Spoke Grey Steering Wheel The Ultraflex V45GW 3-Spoke Grey Steering Wheel Soft Grip is affordable and robust starting at just $42.95 with free shipping! 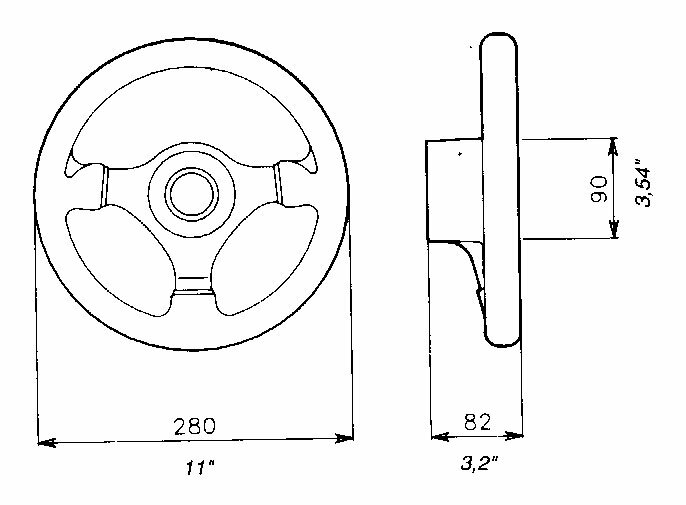 I tried using this for my truck but it did not work due to the splines on my trucks steering shaft. This is made for Boats only. 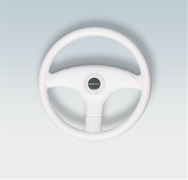 This steering wheel should work for all applications. If you buy this use ONLY FOR BOAT AND NOT A TRUCK. 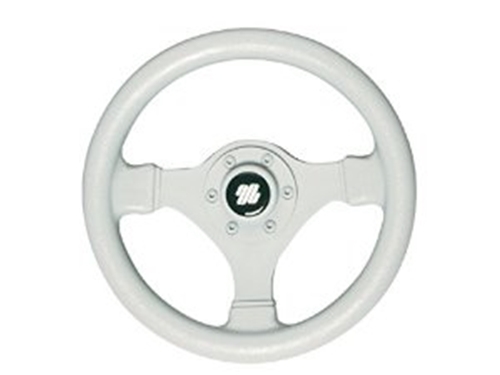 After searching multiple web sites I found this steering wheel that was the perfect fit for my boat. The old wheel I had finally failed. I ordered thia one and it shipped fast. I installed it in an hour or so (after fighting to get the old one off) so it should only take about 15 minutes if the old one comes off easy. oat steers great, steering wheel is a little smaller than old one but looks good!